Labelled 'Flammable' and 'Highly Flammable' Flame Store bin suitable for the storage of petroleum products or highly flammable substances for external use. 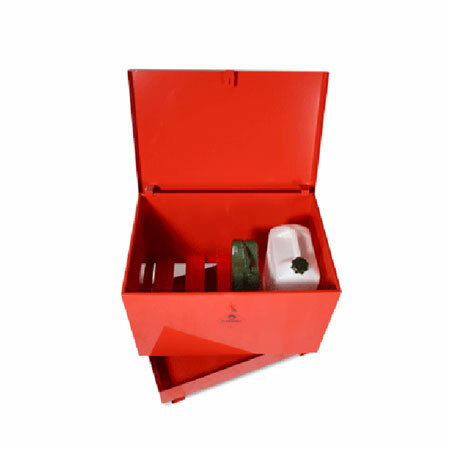 Removable leak-proof sump detachable from main storage compartment. Supplied with 'conditions of license for petroleum spirits'. Fitted with hasp & staple locking and carrying handles.